After being on the trail of Christopher Columbus for 26 years and ix books published, we have turned the corner into the home stretch. Columbus secret identity is now revealed and his secret spy mission exposed. 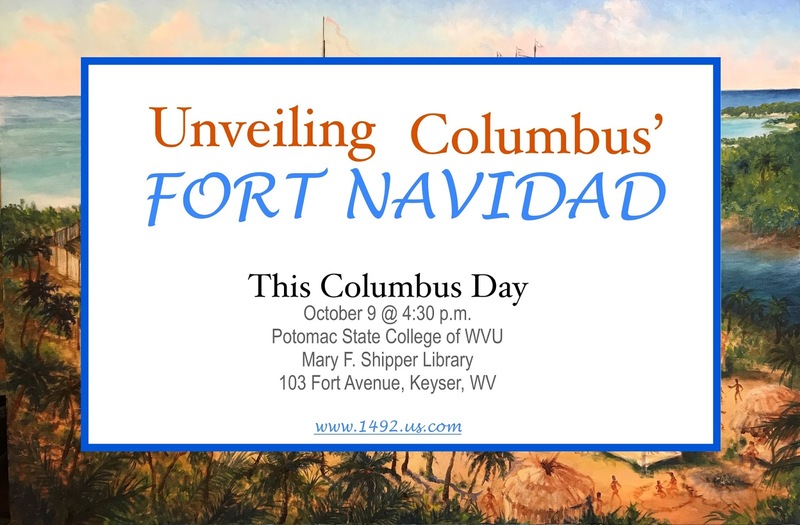 To Be Unveiled: Christopher Columbus’ Fort Navidad, Europe's First Settlement in the New World! Robert Rasche’s painting – which depicts the fate of Columbus’ flagship, the Santa María – was specially commissioned for this event. Author and researcher Manuel Rosa is going to present dramatic new findings which prove conclusively that the Santa María was NOT accidentally lost at sea on Christmas Eve of 1492, as has long been believed; it was marooned. This one fact by itself demolishes an immense complex of myth, fraud, confusion and controversy that has for centuries surrounded the role and identity of Christopher Columbus – though the reasoning to support this claim is both too intricate and too broad in scope to be summarized in a few words. Suffice it to say that Christopher Columbus was a radically different character, on a radically different mission, from what has long been supposed – and that another US institution of higher learning is standing forth to shine a light on this historic truth. Widely regarded as the world’s foremost authority on Columbus, Manuel Rosa was drawn into his own impassioned “voyage of discovery” in 1991, during preparations for the Quincentennial in Spain and Portugal. In 2006, he began to publish the astonishing results of this research in his native Portugal. Rosa will appear this fall at lectures and book signings in Portugal and Poland, where heavily updated translations of his book are about be released. The earlier Portuguese and Polish editions sold out quickly. “I have been doing historical research for over 50 years and found Manuel Rosa's book to be an extraordinary piece of archival research.” - Dr. E. Lee Spence, Underwater Archaeologist. President, Sea Research Society. While supplies still last, copies of the special limited edition may be purchased on Amazon or at the author’s website: www.Columbus-Book.com. The lecture is free and open to the public. A question and answer session will follow. For questions regarding parking, please call Mary F. Shipper Library at 304-788-6901. October 9 @ 4:30 p.m.
quantities after clicking "Buy Now"
COLUMBUS - The Untold Story may be the best and most authoritative book ever written on Columbus. Rosa smashes all kinds of paradigms in this book. "It took 500 years to build the official 'History of Columbus' and two decades of scientific investigating to destroy it," says Manuel Rosa. 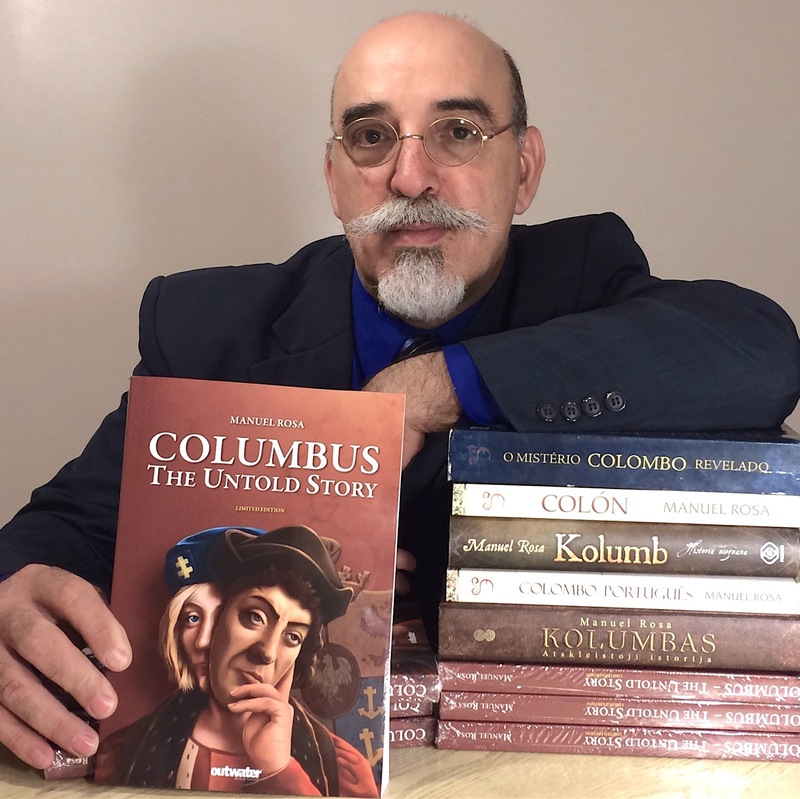 May 5, 2017 / PRZen / GARFIELD, N.J. -- The INDEPENDENT PRESS AWARD recognized "COLUMBUS - The Untold Story" by Manuel Rosa in the category of Biography: Historical, as a Winner of 2017 Independent Press Award. Columbus - The Untold Story (already named Best History Book of 2016 in the Huffington Post) smashes all kinds of paradigms of history. After 21 years of research into what he realized was a 500-year-old mystery of a man, and mission, and spy craft and espionage of the highest order, Rosa puts the pieces together like no one else before him has been able to. Columbus supposedly started life in a family of indigent wool-weavers in Genoa, however, this was speculative because Columbus went to great lengths to conceal his true name and nationality. Columbus - The Untold Story reviews all the evidence supporting the Genoese Columbus hypothesis. As it turns out, almost all the evidence for the Genoese claim is either shabby at best, or fabricated at worst. At times the government of Genoa produced fraudulent evidence to support their claim. It's as if the real history had been deliberately suppressed, and Rosa tells us why. Rosa travels some exciting side trails too that no Columbus researcher ever even noticed before, let alone dared to venture down. He dug deeply into previously ignored archives, examined newly emerged documents, and read thousands of documents and books in Portuguese, English, Spanish, Italian, French and Polish. Columbus used a secret identity in Spain, the book explains, because the discoverer was on a secret mission for Portugal to lure Spain away from India and secure Portugal's monopoly over the Spice Trade. The book is chock full of reproduced documents and color plates that support Rosa's thesis. There are so many extraordinary claims the author makes in this book and yet he meticulously supports them throughout the book, even DNA tests to verify and repudiate relations and descendants. Every detail is a compelling fact that leaves you begging for the next one as the plot advances. It reads not only like a historical work, but as a spy thriller and adventure story as well. 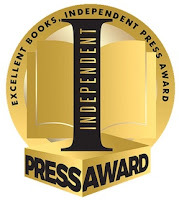 "I am very happy to have my research recognized by Independent Press Award. 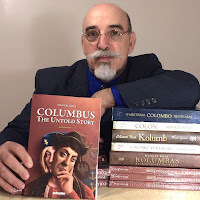 It is an honor to know that my book brings value to the contentious subject of Columbus, who died 511 years ago on May 20th, 1506, but whose real story very few people knew," says Manuel Rosa. "In 2017, we had worldwide participation, from London to Australia, from Portugal to Hong Kong, and are so proud to announce the winners and favorites in our annual INDEPENDENT PRESS AWARD. Independent publishing is alive and well, and continues to gain traction worldwide," said awards sponsor Gabrielle Olczak. For more information, please visit: independentpressaward.com see Author's Website at www.1492.us.com for more information. "COLUMBUS: The Untold Story" is a book resulting from 25 years of investigative research into European medieval documents, chronicles, artifacts and monuments. Acclaimed as a paradigm changer, after reading this book, the Columbus you knew will be History!